----------------------- Who says Concrete can't be flexible? 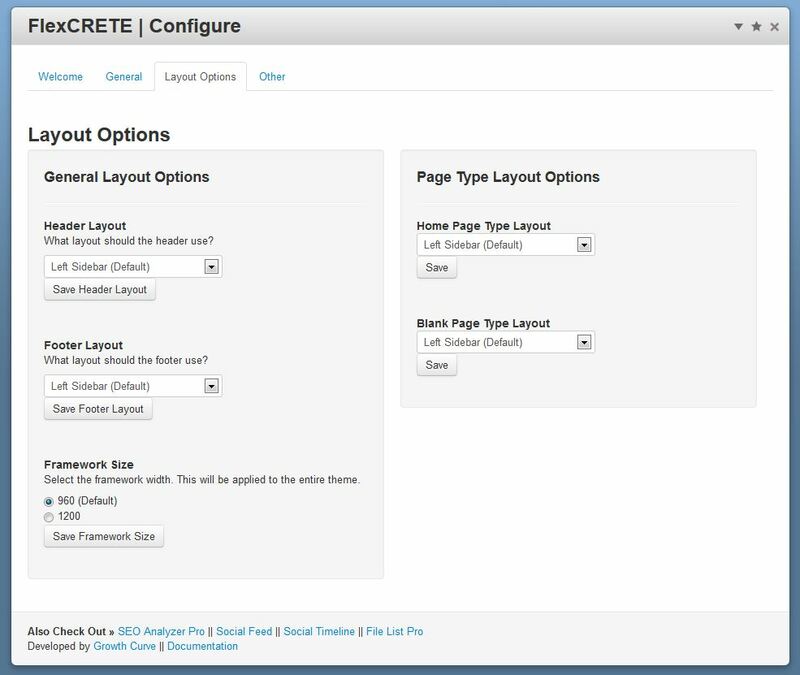 This is a highly responsive theme that's based on the Skeleton CSS framework. Using only CSS, it is designed to scale your site to fit on ANY device - whether it be a smartphone, tablet, or standard monitor. 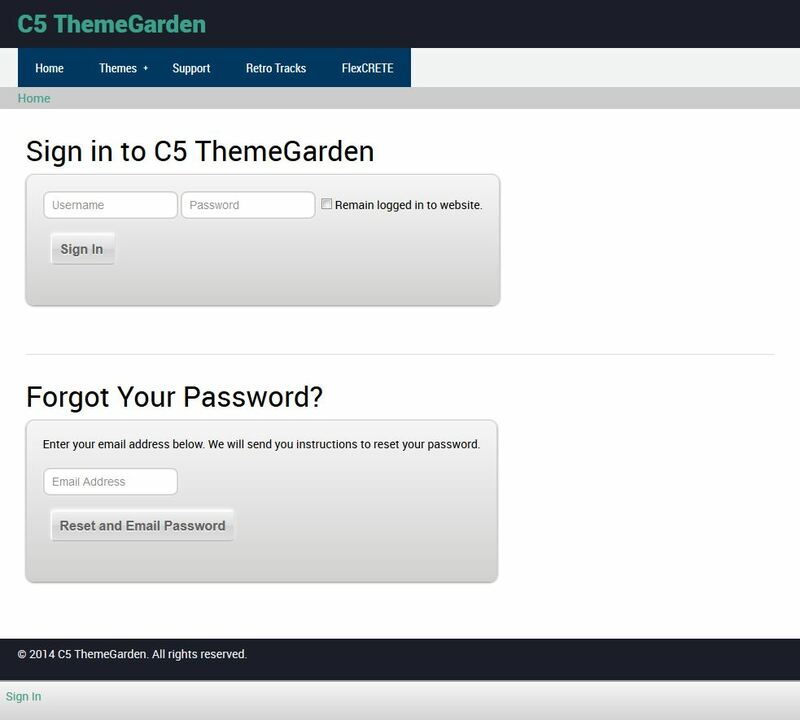 Why spend additional time developing a mobile version of your site? 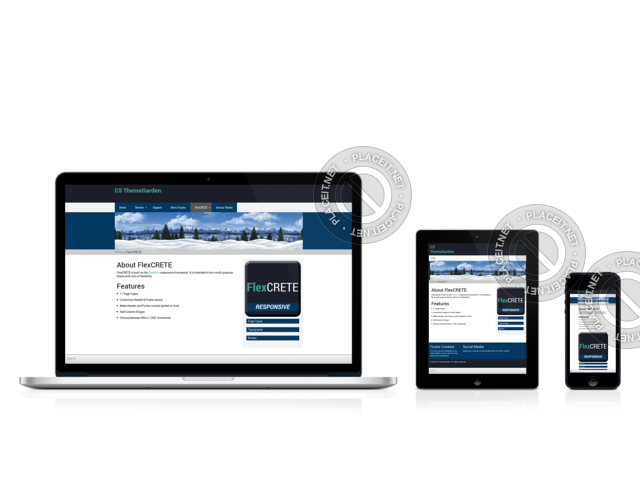 FlexCRETE makes it easy to build a single website that can be viewed on any mobile device or any size screen! 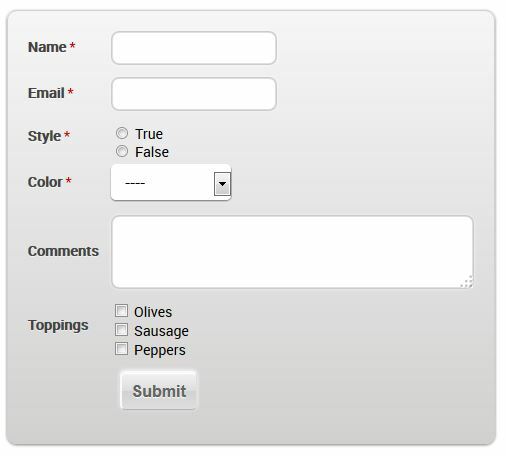 *Blank - Ideal for creating content to be loaded via ajax. 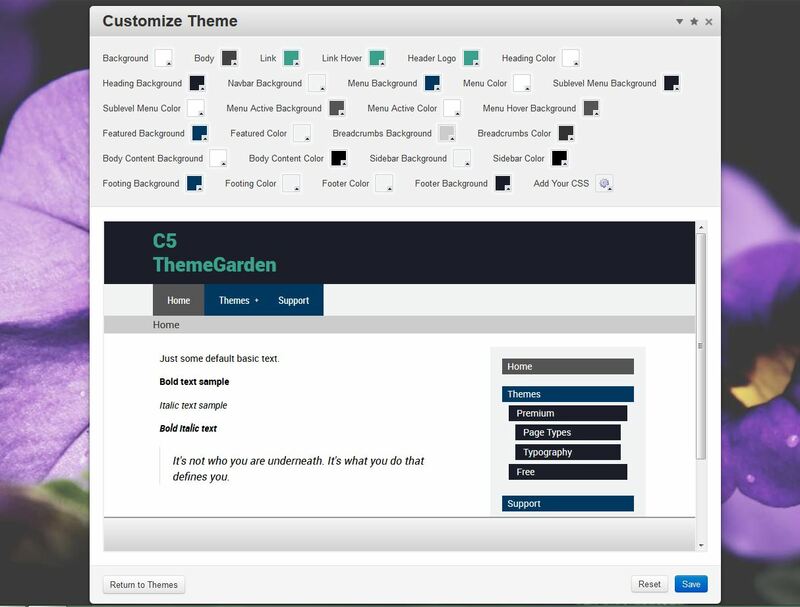 *Single-Page - Allows you to create a single-page website with anchored links. Flex CTA (Call to Action) - Featured links to site pages! Fit Text - Add a responsive text header that fits anywhere! 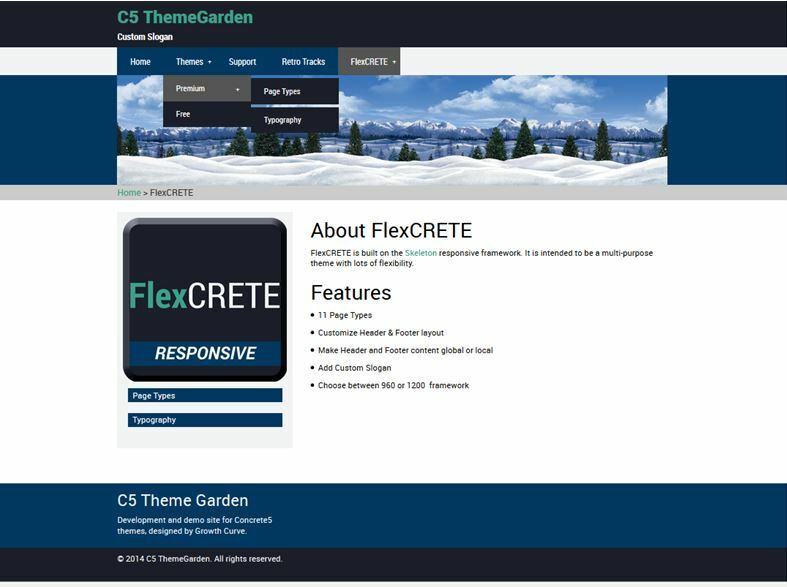 Flex Page Info - Display page title, description, author, and date published. Flex Logo (Image Block) - Ideal for displaying a logo. Flex Image (Image Block) - Auto-fits image to fit within any area (responsive). Flex File (File Block) - Renders download link as a button. Flex Index (Page List) - Renders page list as a single-column index list. 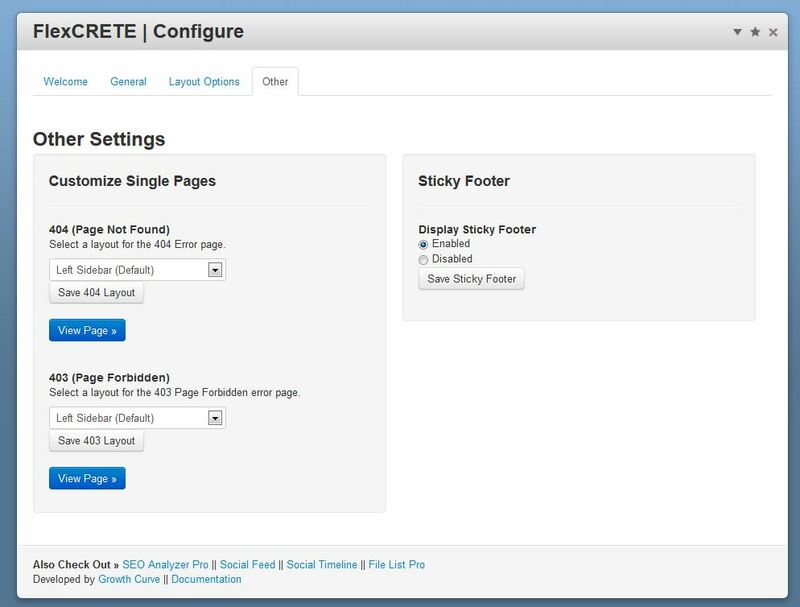 Displays "Flexcrete Featured Image" page attribute, and keywords. 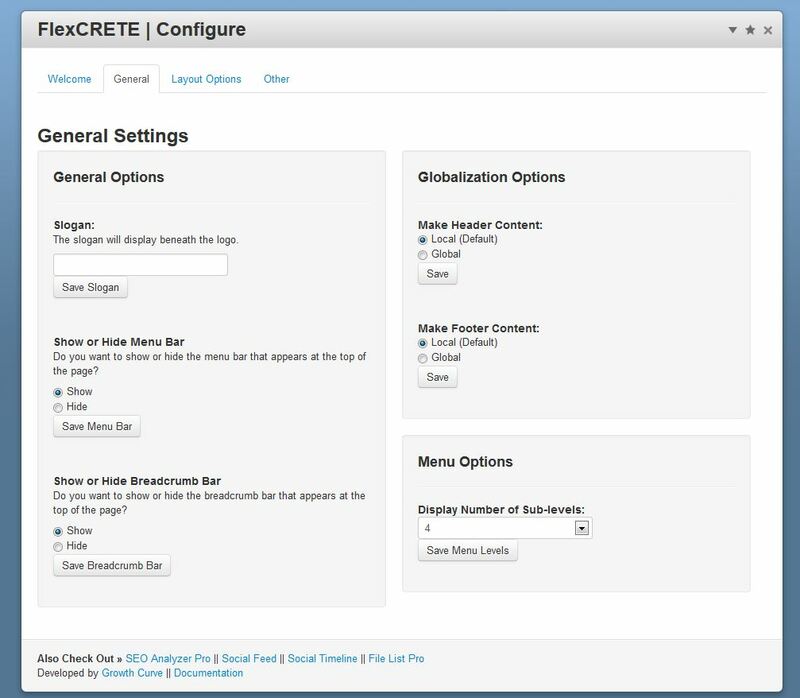 Includes a configuration panel and documentation area in dashboard!